hTripoli: Forces loyal to Libya's UN-backed Government of National Accord (GNA) have made rapid advances this week as they pressed a month-long offensive to retake Sirte from the Islamic State group. Following are five things about the disparate groups battling to dislodge IS from its Libya stronghold facing the Mediterranean. Who are the key forces? Pro-GNA forces comprise a range of heavily armed militias from several western Libyan towns, particularly Misrata which lies half way between the capital Tripoli and Sirte. 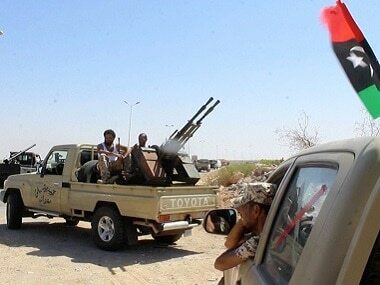 The Misrata militiamen took part in the 2011 Nato-backed uprising that ousted and killed dictator Muammar Gaddafi. They are among the best equipped, with an arsenal that includes MiG fighter jets and attack helicopters. After the fall of Gaddafi, militias who fought in the uprising refused to lay down their arms. A coalition of western Libyan militias led by the powerful Libya Dawn battled rival forces in August 2014, forcing the government to flee Tripoli to the remote east. Libya descended further into chaos with two rival administrations vying for power. Emily Estelle, a Middle East and North Africa specialist at the Washington-based American Enterprise Institute, estimates that about 2,000 fighters, primarily from Misrata, are engaged in the assault on Sirte that began on 12 May. Guards from Libya's key oil installations are also taking part in the offensive and are led by Ibrahim al-Jodran. 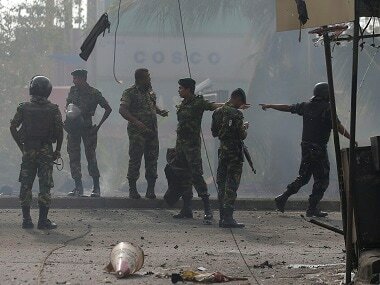 They attacked from the east, routing IS from several areas on the way to Sirte, Kadhafi's hometown, their spokesman said. In January these forces repelled a major IS offensive aimed at seizing oil terminals. They are mostly composed of tribesmen who have called for autonomy for their region within a federal government. Some units that have pledged allegiance to the GNA are involved in the offensive, while others are loyal to General Khalifa Haftar who considers the unity government to be "illegitimate". Is there a unified command? The forces involved in the offensive report to a joint military command centre set up by the GNA in Misrata. However, each militia also takes direct orders from its own commander. Despite this, coordination between the militias in Sirte appears to be working. "The forces involved in the counter-ISIS (IS) offensive are not under a unified command structure, and they do not share the same vision for a post-ISIS Libya," Estelle said. Why are they advancing quickly? After nearly a month on the offensive, pro-GNA forces entered the outskirts of Sirte on Wednesday after taking several IS positions. By Friday they had managed to encircle the town and seize its port and several neighbourhoods. The jihadists are now surrounded in a densely populated area of around five square kilometres (two square miles). Foreign intelligence services estimate that IS has 5,000 fighters in Libya, but its strength inside Sirte remains unknown. "We were expecting a fierce fight but in reality it's not been as difficult as some had imagined," a Libyan diplomatic source said, asking not to be named. "Could we have exaggerated the number of jihadists there?" According to Estelle, the forces from Misrata "have advanced so quickly because they are using their limited air power to neutralise the suicide vehicle-borne improvised explosive devices that ISIS has deployed to attack at or behind" their frontlines. She also suggested that "American and British advisers on the ground are likely helping" the Misratans. There has been no immediate confirmation from the US or Britain, although Washington has said that small teams of US special operations forces are gathering intelligence in Libya. A victory over IS would bolster the GNA's credibility both at home and abroad. It could also prompt world powers to step up the delivery of weapons to the GNA in an attempt to help the government build a strong and united army. The main challenge the GNA will continue to face as it strives to assert its authority over the oil-rich North African nation is disarming the militias. "What will happen to all the forces mobilised against IS?" asked Mohamed Eljarh of the Rafik Hariri Center for the Middle East.